The cooling towers at TVA's Bellefonte Nuclear Generating Station in Jackson County, Ala., are seen from Bellefonte Road in the town of Hollywood on May 18, 2017. President Trump on Monday reignited the debate over the proper role of government in the power industry by proposing the Tennessee Valley Authority and other power utilities owned by the federal government sell their transmission assets. Such sales could help pay for Trump's $1.5 trillion infrastructure program, but U.S. Sen. Lamar Alexander, R-Tenn., immediately dismissed the president's proposal as "looney" and predicted Congress will reject the proposal. "This looney idea of selling TVA's transmission lines seems to keep popping up regardless of who is president," Alexander said in a statement after the Trump White House proposed the sale of TVA's transmission assets in its budget plan for fiscal 2019. "It has zero chance of becoming law." Alexander said when President Obama proposed selling TVA in 2013, "all it did was undermine TVA's credit, raise interest rates on its debt, and threaten to increase electric bills for 9 million Tennessee Valley ratepayers." Obama's plan was later dropped after objections were raised and the federal utility took steps to trim its spending and debt. In the White House infrastructure plan unveiled Monday, the Trump administration said TVA and other similar federal agencies should be given the authority to divest of their transmission assets "where the agencies can demonstrate an increase in value from the sale would optimize the taxpayer value for federal assets." President Trump said selling the government-owned transmission lines would help raise funds to pay for other infrastructure projects and could spur more spending by the private sector on the electricity grid. The sale of TVA's 16,000 miles of transmission lines — one of the biggest transmission networks in the country — would still be far less than the outright sale of TVA proposed by Obama early in his presidency. Trump said selling the power marketing authorities and TVA transmission assets is part of "the most comprehensive infrastructure bill in our nation's history." Any sale of TVA would have to be approved by Congress, and the White House suggests TVA conduct a study of the merits of such a sale. The Heritage Foundation and other conservative groups have long advocated the government divest itself of TVA, which is America's biggest government- owned utility and dates back to 1933 when President Franklin Roosevelt created it as part of his New Deal to bring the United States out of the Great Depression. Heritage claims TVA is a government-protected monopoly within its seven- state territory, doesn't have the constraints of market competition and doesn't pay federal income taxes like investor-owned utilities do. But the Tennessee Valley Authority no longer receives any appropriated dollars from Congress, and according to a 2013 study by the Howard H. Baker Jr. Center for Public Policy TVA has returned to the U.S. Treasury more than $3 billion on the government's original investment of $1.4 billion. TVA pays 5 percent of its revenues to state and local governments in lieu of local property and state taxes. U.S. Sen. Bob Corker, R-Tenn., said TVA has improved its operations by cutting expenses and its long-term debt and he doubts there is adequate support for selling off any part of the agency. But Corker said any agency should look at reforms and changes to meet today's marketplace. "While it is important to remember that TVA has not received any taxpayer funding since 1999 and has taken positive steps in recent years to pay down its debt, as I've said before, I think it's valuable to evaluate from time to time reforms that could cause TVA to function more effectively for Tennessee taxpayers and ratepayers," Corker said. 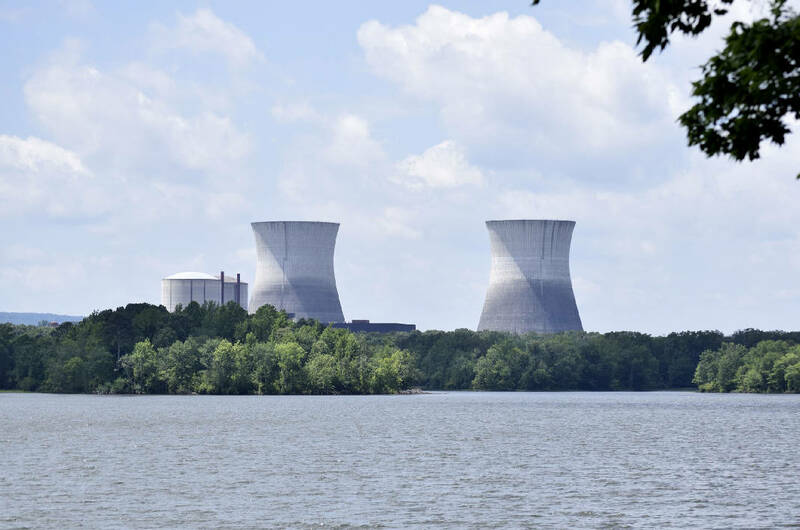 "That said, at the end of the day, selling TVA is a very unlikely outcome." U.S. Rep. Chuck Fleischmann, R-Tenn., said he will fight any sale of TVA assets as he did when President Obama proposed the sale of TVA. "While I understand the desire to achieve short-term budgetary advantages, I have consistently opposed similar proposals by past administrations due to their long-term harmful impact," he said. The White House cited TVA, the Southwestern Power Administration, the Western Area Power Administration and the Bonneville Power Administration among federal power agencies whose transmission assets could be sold to states, local power distributors or private investors. Trump also is proposing the possible sale of other federal assets such as the Ronald Reagan Washington National and Dulles International Airports, the George Washington and Baltimore Washington parkways, and the Washington Aqueduct. The Sierra Club criticized the sale of public lands and assets, claiming such sales to private interests could harm the environment. "This is a bill designed to eliminate environmental protections and fork over billions in taxpayer dollars to big corporations that has been dressed up as an 'infrastructure proposal' to trick the public," Sierra Club Executive Director Michael Brune said in a statement Monday. The sale of TVA's transmission assets could separate the agency's power generation from its power distribution operations, similar to how generation and transmission has been separated in other parts of the country to give customers more choice in where they buy their power. But Doug Peters, president of the Chattanooga- based Tennessee Valley Public Power Association, said the integrated public power model of TVA selling the 154 municipalities and power co-ops across the Tennessee Valley "has worked extraordinarily well for more than 80 years." "This makes no sense; it is not fair, and it is not going to happen," Peters said. "But if this ever gets legs in Congress, TVPPA would definitely want to be there to defend the public power model and to defend the interests of the ratepayers in the Valley who have paid the power bills to pay for TVA through its history." The Trump infrastructure proposal also called for the possible sale of power marketing administrations (PMAs) that market hydroelectric power from Army Corps of Engineers dams such as those on the Cumberland River near Nashville. The National Rural Electric Cooperative Association, which benefits from the relatively cheap hydro power from such federal dams, also voiced opposition Monday to any sale of transmission assets by the power marketing authorities. Stephen Bell, director of public relations at National Rural Electric Cooperative Association, said such a sale, if ever approved, likely would raise rural electric costs. "The proposal to sell PMA transmission assets would jeopardize affordable and reliable power for more than 100 million people across the nation," he said. "Raising electricity prices on rural Americans to send more money to Washington has been a bad idea each and every time it has been proposed. Today is no different." This story was updated Feb. 12, 2018, at 11:59 p.m. with more information.